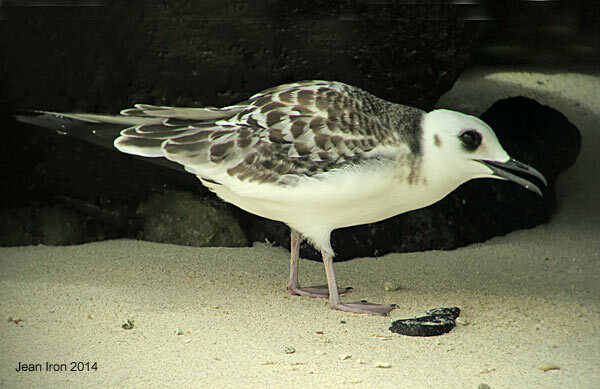 Lava Gull is one of the rarest gulls in the world, possibly the rarest. 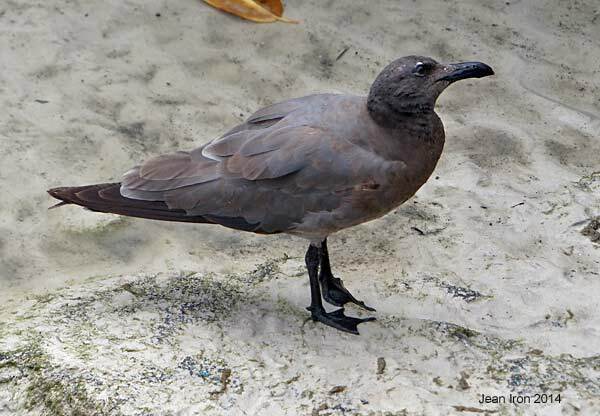 Its breeding population is confined to the Galapagos Islands and is estimated at fewer than 300 pairs. 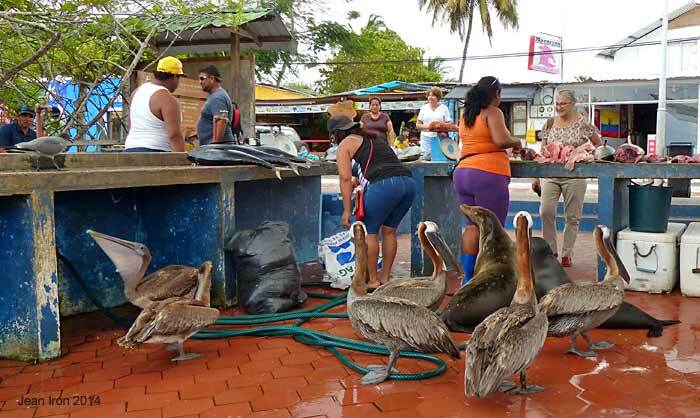 Cerro Brujo on San Cristobal Island on 9 November 2014. 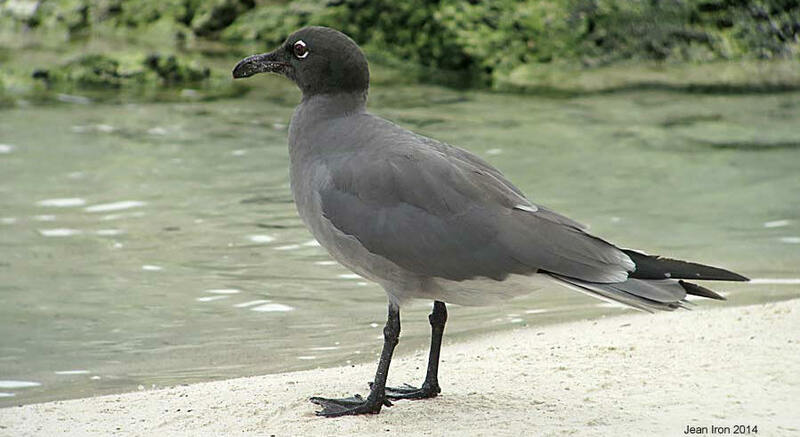 Adult Lava Gull at the fish market in Puerto Ayoro, where they are easy to see. Note long central claw on its feet. I wonder if this is an adaptation to rough, sharp lava rocks along the coast in its natural habitat. 11 November 2014. 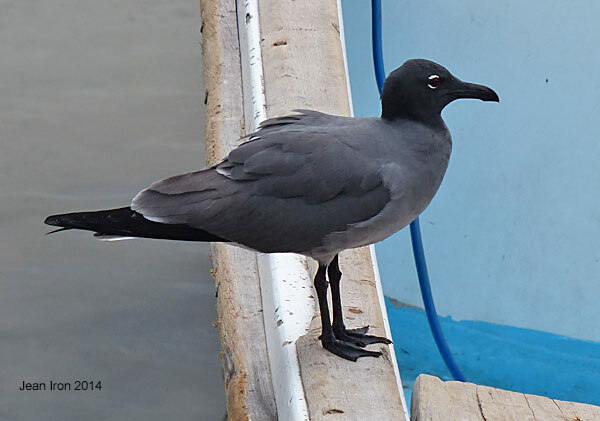 Lava Gull at left end of counter scavenging at fish market in Puerto Ayoro, Santa Cruz Island, Galapagos, on 11 November 2014. A pair of Swallow-tailed Gulls on South Plaza on 8 November 2014. Swallow-tailed Gull in flight showing the "swallow-tail " and unmistakable open wing pattern that is similar to Sabine's Gull. South Plaza on 8 November 2014. 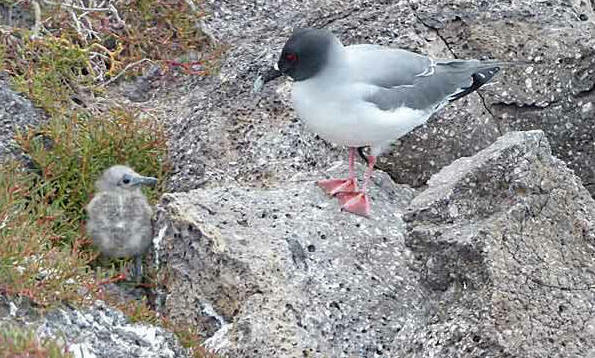 Adult Swallow-tailed Gull with very young chick on South Plaza, Galapagos on 8 November 2014. 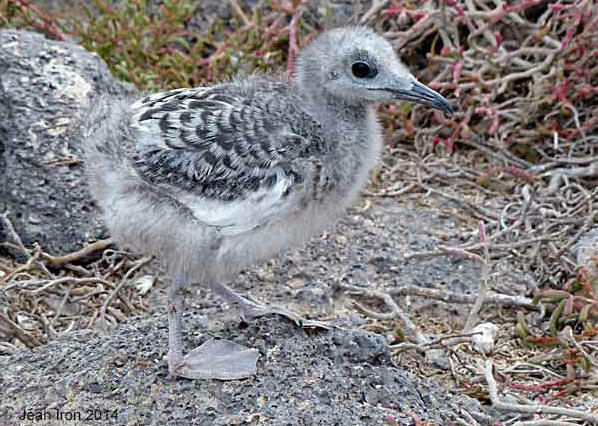 Another young chick on South Plaza, Galapagos on 8 November 2014. 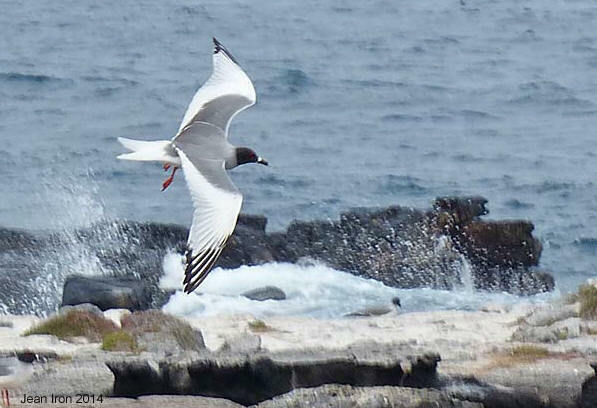 Swallow-tailed Gull in juvenal plumage on Genovesa, Galapagos, on 13 November 2014. 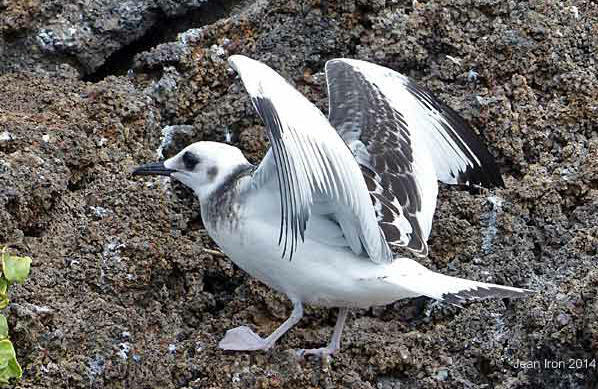 A juvenile Swallow-tailed Gull spreads its wings, Genovesa, Galapagos on 13 November 2014.